No cause of her death was released but multiple news sites have reported that she battled with a long ailment that eventually claimed her life. The sad news comes just a month after Kelly Rowland and her husband Tim Tim Witherspoon welcomed their baby boy Titan Jewell Witherspoon. 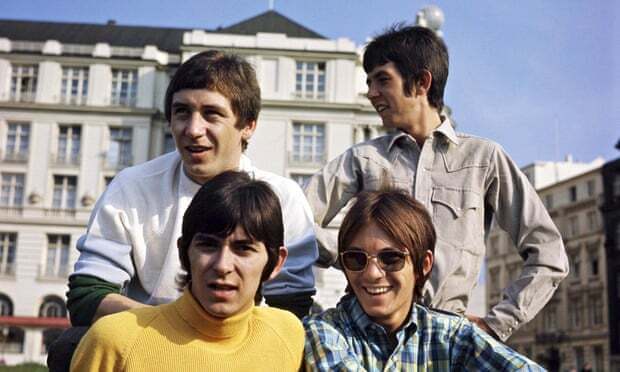 Ian McLagan, the London-born keyboardist who wrote his name into rock history as a member of the Small Faces and the Faces and as a collaborator with other groups including the Rolling Stones, has died in Texas at the age of 69. McLagan, who co-wrote Faces songs including Cindy Incidentally, You’re So Rude, Bad’n’Ruin and Three Button Hand Me Down, was also behind the distinctive Wurlitzer electric piano heard on tracks including the Faces’ Stay With Me and the Stones’ Miss You. He died on Wednesday in Austin, Texas, where he had lived for 20 years, after what local reports said was a stroke. Born in Hounslow in May 1945, McLagan began his music music career in the early 1960s, when he took up the Wurlitzer and the Hammond organ. Don Arden, manager of the Small Faces, hired him in 1965 to replace Jimmy Winston in the band, which changed its name to the Faces in 1969 after Rod Stewart and Ronnie Wood joined. McLagan, known to friends and fans as “Mac”, worked with the Rolling Stones after the Faces split in 1975 and was a session musician for artists including Joe Cocker, Bob Dylan, Chuck Berry and Bruce Springsteen. This entry was posted in Global+Crisis and tagged Kelly Rowland Mother Doris Dead At 66, London keyboard player Ian McLagan dies aged 69. Bookmark the permalink.